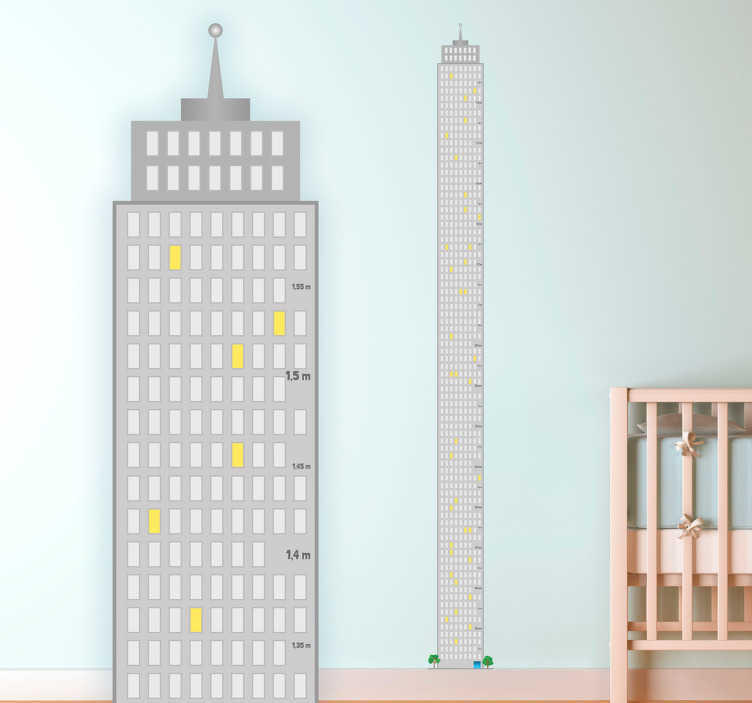 A creative height chart decal where your kids can measure themselves against the height of a skyscraper! Decorate the wall of your kids bedroom with this unique design! Designed to be placed 10 cm above the ground to avoid sockets and skirting. Absolutely fantastic quality stickers and so easy to apply. I have bought various stickers from other sources for our playroom and this were by far the best quality - will definitely order again!